mommy bytes: Fun at Hands On Small Business! Fun at Hands On Small Business! 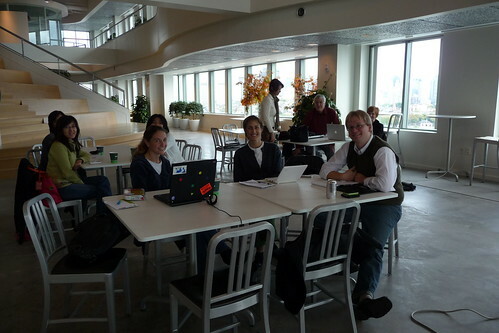 Microsoft Cambridge graciously lent their space for a couple of the Hands On Small Business sessions in Boston. I always thought that working for Google would be cool, but Microsoft? It would probably be a bit stiff (think PC vs. Mac). But when I stepped into their beautiful space, I thought wrong! 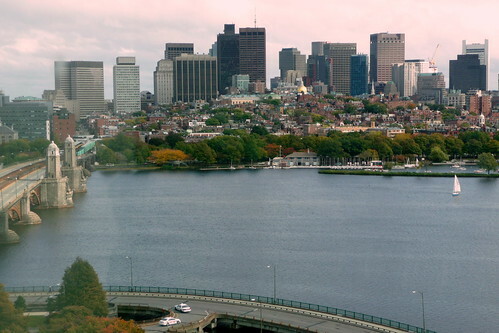 Microsoft Cambridge is nestled on the corner of the Longfellow bridge in Cambridge had magnificent views of Boston and MIT. 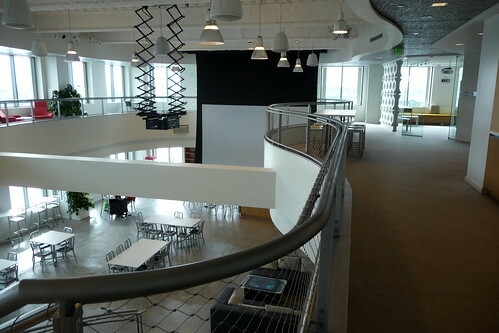 Check out the two floor atrium from above. See that huge screen and projector hanging from the ceiling? That's what I used for teaching the Hands On Small Business session. 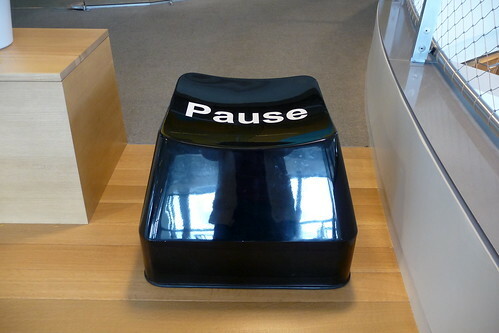 If you wanted, you could have a seat on this huge Pause button. Cool! But the HOSB participants were a civilized bunch who enjoyed the session from regular chairs. 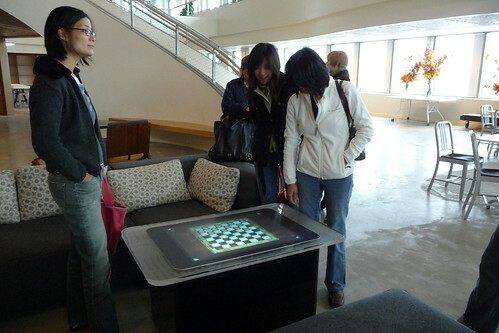 Afterwards, we checked out the Microsoft Surface Table. Every home needs one! At each session, I met great sets of small business owners looking for the social media edge. Meet Susan Callahan, baker extraordinaire of Goodies Homemade. I can personally attest to her goodies as Doug received a batch of her unbelievable Chocolate Chip Reese's Cup cookies. They were divine! Here she talks about her experience at Hands On Small Business. Hands On Small Business Interview from Angela T on Vimeo. If you'd like to catch an extra session of Hands On Small Business Boston with the lovely Christine Koh of Boston Mamas and myself on December 1st from 1-3 pm at Good Food Cafe, register here. Due to popular demand, there were sessions added in several cities, so check the website for the city near you.